Alison Folland. Tara Subkoff. Cole Hauser. Wilson Cruz. Shawn Hatosy. Leisha Hailey. Drama. Art House. Gay Interest. 01 Mel's Must Sees. Lesbian Interest. Music. Recommended. Coming of Age. Weepie / Tear Jerker. Friendship is put to the test in this story of love and loyalty in Hell's Kitchen, New York. Alison Folland plays Claude, the skateboarding teenager who slowly comes out as gay in a homophobic urban environment. 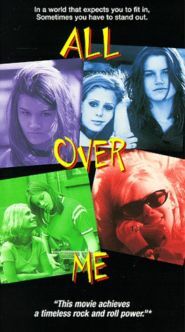 Her feelings are confused by her best friend Ellen who sinks deeper into drug abuse and self destruction. When there's a murder in the neighbourhood, Claude has to choose between loyalty for Ellen or her own instincts. A coming-of-age film debut by Alex Sichel.